It's time for a tag post. 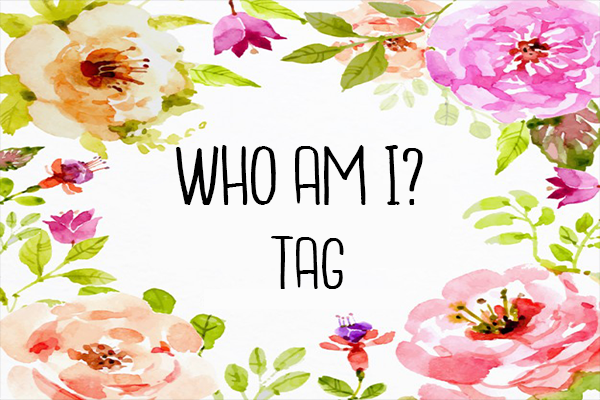 I've done two tag posts before (I think) but those were both book related tags. This one's a little different because it's all about me! 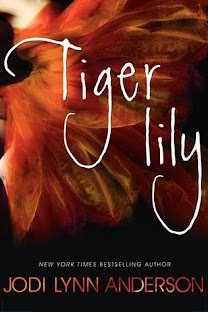 I saw this tag on Tasya's blog The Literary Huntress. I wasn't technically tagged to do this post but it looked really fun and I'm a sucker for quizzes so I decided to do it anyway! Google says - The name Kirsty comes from the Scottish origin. 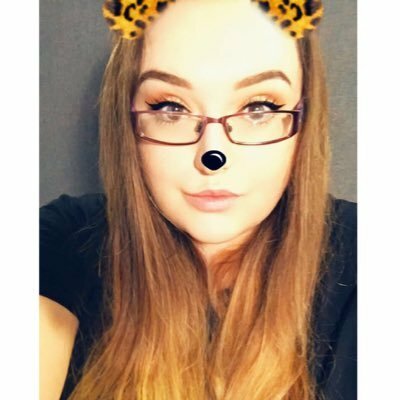 In Scottish The meaning of the name Kirsty is: Christian. A Scottish variant of Christina. I was actually going to be called Christina so I guess this makes sense. This was so interesting to do, I have done this before at some point in my psychology course but I had completely forgotten my results so I don't know if I got the same this time. Anyway... 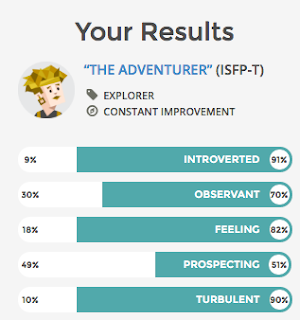 I got ISFP-T (The Adventurer). Some of my best traits - sensitive to others, imaginative, curious and passionate. Some of my worse traits - fiercely independent (it's kind of a strength though right? ), easily stressed, overly competitive and fluctuating self esteem. I mean, now that I'm reading it. This is pretty damn accurate...It's kind of creepy. A definition of a libra (also from google) - Libra Traits. The people born under the Sign Libra are kind, gentle and lovers of beauty, harmony and peace. However, in their effort to keep everyone happy, they find it difficult to say 'NO' to anyone, and as a result, they end up getting stressed. Honestly, I check all those zodiac pages on twitter all the time. I don't really believe in it but it's so fun when something describes you perfectly. Gryffindor! I'm not sure how accurate this is because on every other quiz I've done I've always been a ravenclaw...so who knows! These are my in depth results though so it was really close between them all! My scores were: Visual - 11 ⬩ Aural - 6 ⬩ Read/Write - 10 ⬩ Kinesthetic - 7. So I guess I learn in mostly a visual way! Apparently I use both sides of my brain equally! Well slightly more the left but overall equally. Writer - I really love the idea of writing but I don't have the imagination for it. I could never come up with an interesting idea. I'm not sold on this one! I'm the firstborn but also an only child so I'm not sure if this is still accurate for that...The article says that firstborns are natural leaders, ambitious and responsible. I think I am ambitious and responsible but I am FAR from a natural born leader! I need to take some of these quizzes. Yeah me too most of the time! Why don't you do this tag? It was honestly so much fun to do, and the myers briggs test was actually quite eye-opening! I might, it looks fun! I took the Myers Briggs and got an INFP-T, which after reading the notes seemed to fit to a T! Go figure! This is fun!! 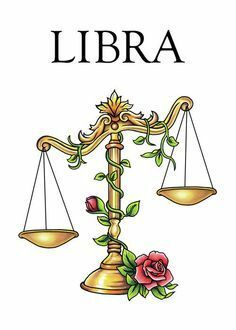 I am a Libra too and look at my horoscope but don't really believe in it. I need to do this one! This is such an interesting tag!! And thanks for tagging me :D I have an issue with those Hogwarts sorting tests, because I literally have been sorted into all the houses. It's like I apparently have four different personalities? haha. Great post! No problem! And I know, usually I'm a ravenclaw so I was a bit shocked when it came back. I'll take it though! Thanks for the tag! I'm a Ravenclaw, which makes total sense because I am pretty education-driven and a bit of a perfectionist. I've never taken a Divergent faction test but I assume I would be Candor as well, I hate lies and cannot lie for anything! You found this tag through Tasya??? Haha, Tasya found it through my blog, lol small world am I right? And same, I'm always a Ravenclaw, or a Slytherin, or sometimes even a Hufflepuff, never ever a Gryffindor, but that quiz gave me Gryffindor??? It honestly was! And me too, I'm such a sucker for it!! Thanks for the tag, Kirsty! Will definitely do this :D I like reading that tells something about me. Just amusing. I took the Divergent faction quiz on the movie website before and I think I got Divergent: Candor + Abnegation. This tag looks so interesting! I hadn't really looked into any of these things before, other than my Hogwarts house, and now I want to find out all of them. Great post! I know right, I thought it was so fun to do! Thank you! I really like this tag with all of the personality tests. It's interesting that your Meyer's Briggs ended up being so accurate when you thought at first that it was completely incorrect! It's really cool isn't it! Yeah when it said adventurer I was like no way because the only thing I adventure is Netflix! But it ended up being pretty spot on!